Although Clancey considers it challenging to show credibility in front of her mature peers, she’s proud of feeling that instructors consider her mature for her age. The student became an IABC member last October to get involved even before starting her career. Clancey also wants to apply for the SCOY Award. She believes it would be easier to get into the industry as a SCOY winner. “It would give me credibility, which is everything,” she says. 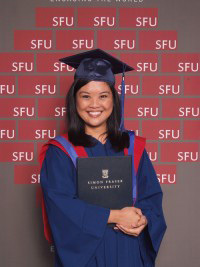 The same maturity guided Beatrice Benavides, who holds a BA in Communication and Cooperative Education from Simon Fraser University (SFU). “I was worried about employment after graduation,” she says. 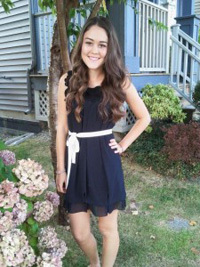 To gain a better understanding of her field, she became an IABC student member in 2012, during her last semester at SFU. Now, she’s in the transitional period. “The perks of the membership [she mentions the IABC events and the Communication World magazine] have helped me grow as a better communicator and working professional,” she says. Benavides currently works as the communications associate at the Arts Club Theatre Company, managing the electronic communications. While at SFU, she was the marketing and communications co-op student in the career centre of Drexel University in Philadelphia, US.